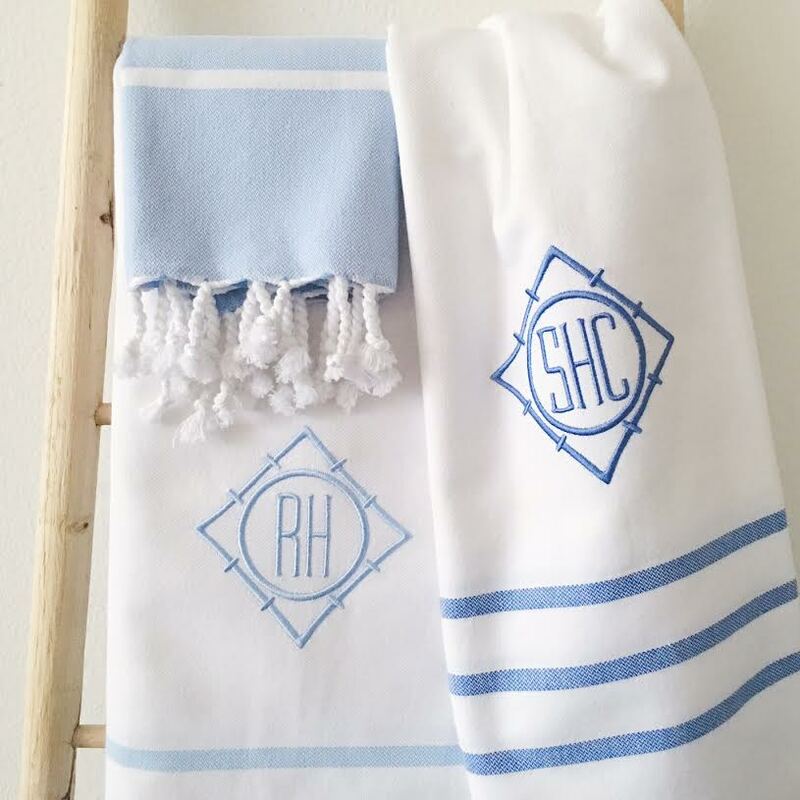 A few months ago I spotted the most darling monogrammed cocktail napkins while perusing Pinterest. 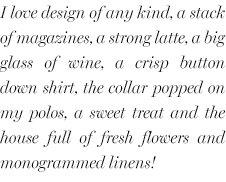 As a previous owner of a monogram company I have seen quite a bit. 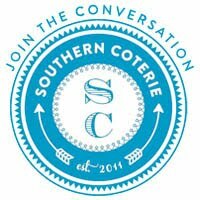 When I spot something unusual I get so excited and then I scour the internet to find the company so that I may quickly share the details with all of you! Let me introduce you to The Loveliest. 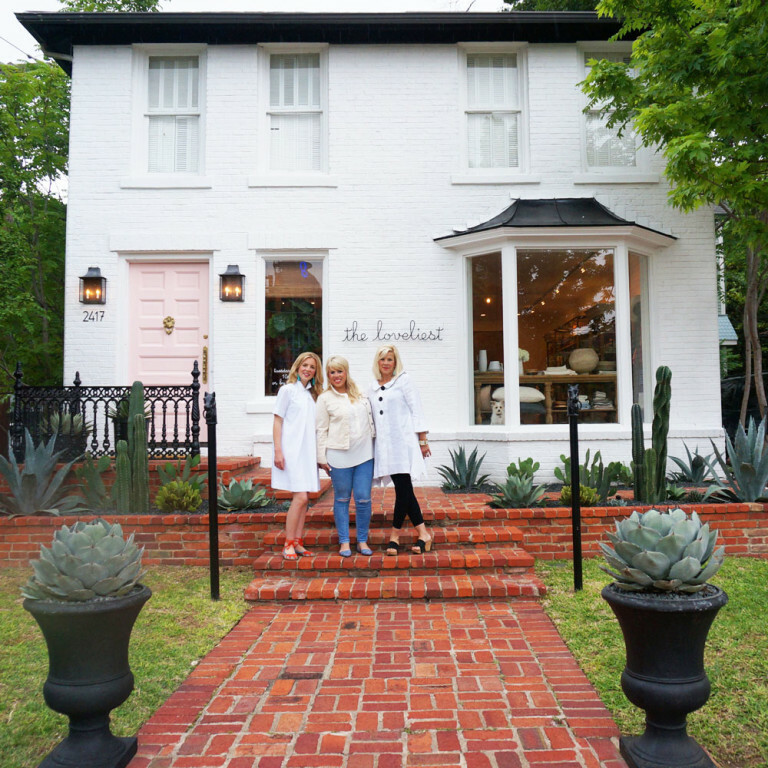 Founded by sisters Kelsey and Britni and their mother Joni in May of 2015 the store, located in Dallas, is known for its quality products with incredible monograms. 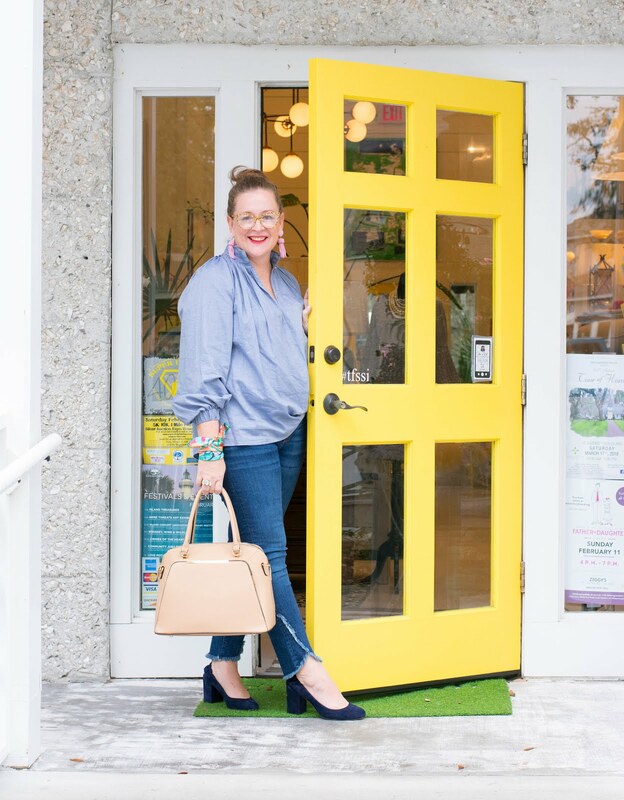 Kelsey shared with me they partnered together to open the store "with a unique aesthetic while offering beautiful products and in house personalization". Their first year of business "exceeded all of our expectations". 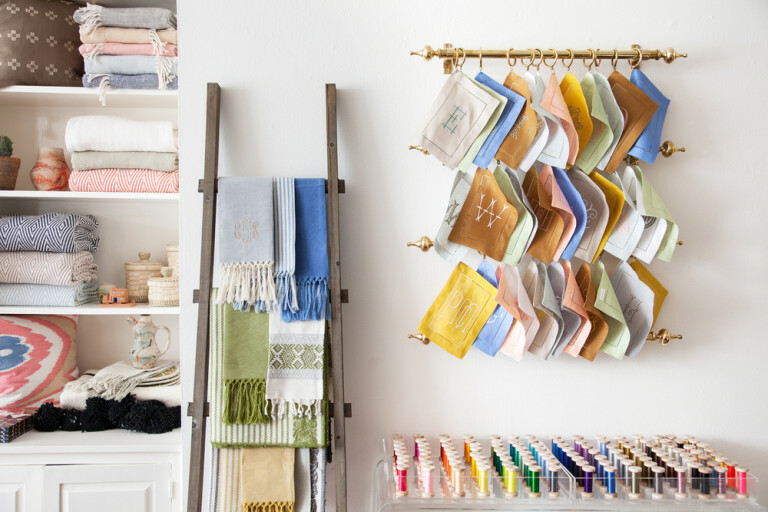 Their shop is booming and their popularity on Instagram has blossomed. Their online shop launches in the next few months along with their own pillow line set to launch just after the online shop opens. 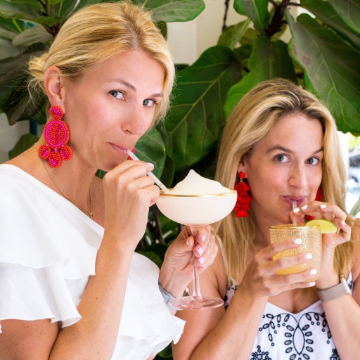 I have partnered with the girls at The Loveliest to giveaway a set of 4 pineapple cocktail napkins to one lucky reader. Your cocktail hour will never look better! The giveaway starts today and ends at 5 pm on July 15. We will select a winner to be announced promptly at happy hour (EST) this Friday. Good luck and Happy Monday lovies!! The pineapple monogram would match the vintage pineapple swizzle sticks I just found on etsy! I love their shop. Thanks for letting us all know about it. so cute! 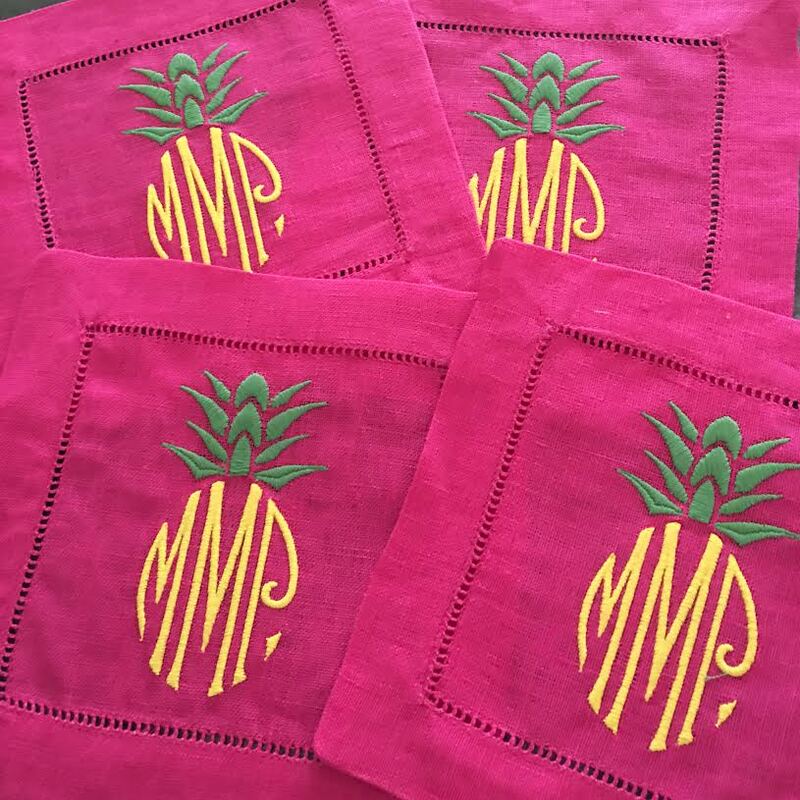 The colors of the pineapple napkins are not too girly either - so perfect for all cocktail drinkers in the house. 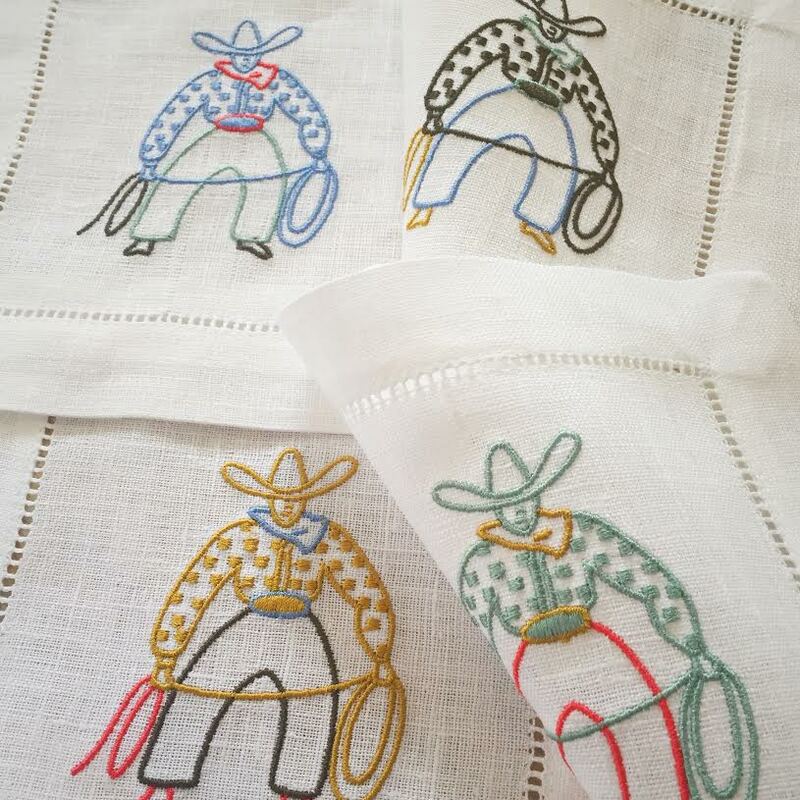 The cowboy napkins are darling too! I can't wait to visit their shoppe. My daughter loves the pineapple design and this would be a perfect gift for her trousseau! Fingers crossed. What's not to love, the pineapple is a true classic! Absolutely adorable! I would love, love, love a set of these perfect pineapple napkins. They would be perfect for my dining room and match my candle holder. The pineapple motif is so classic! A true classic. They would be perfect for some "parlor patter" just ask Amanda aka Dixie Delights. These napkins are the cutest thing! They would look great at our parties! They would liven things up for sure! Pineapples have been a part of my life since I can remember. I grew up with the pineapple as a welcome symbol in our home and pass under the pineapple arch on Federal Hill in RI on a weekly basis! These would be perfect on my bar cart! I love pineapple decor - have used them since I was married 35 years ago next month. I just remodeled our back porch & these would be perfect for entertaining in Raleigh, NC! 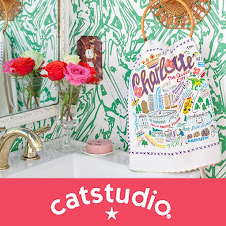 I absolutely adore their designs, and I would be thrilled to be the winner! 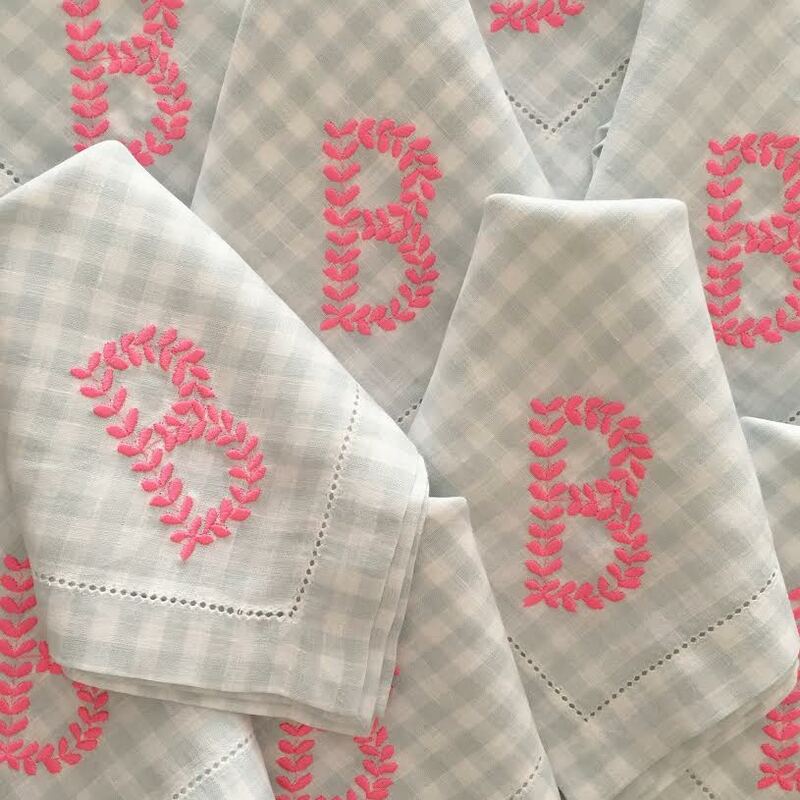 These napkins are all so sweet! Pineapples, cowboys and pagodas, so many fabulous choices I'm not sure which ones are my favorite! Those are so classy.. thank you for sharing this company. Just the thing to feature at my next cocktail party!! 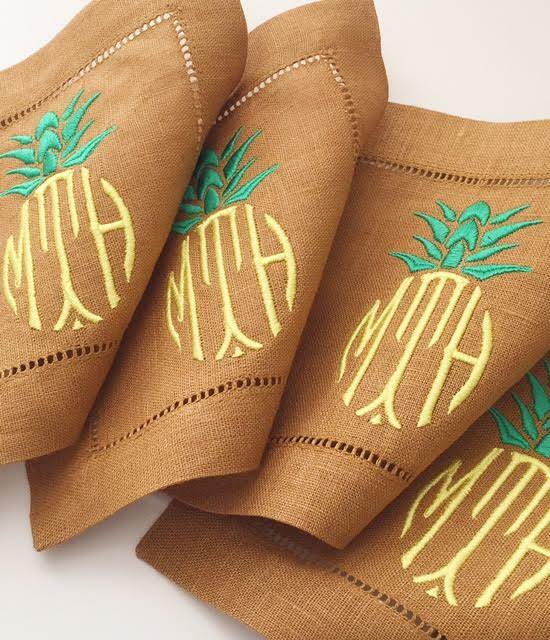 Cocktails + Pinapple monogram napkins = A perfect pairing for a summertime soirée. Love these! 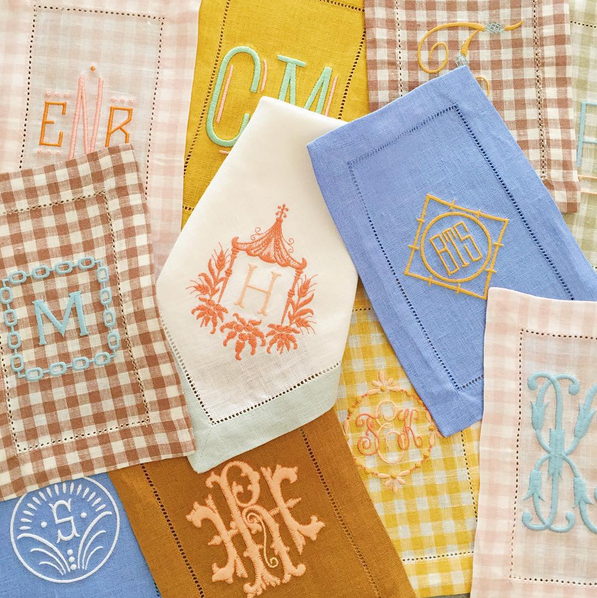 What beautiful napkins and as a southern gal I can't help but love monograms too! Love, love, love these!! So cute and I want them so bad! These are lovely and original!!! So fun for a party! Oh my goodness these are the cutest napkins ever. So cute! These would be perfect for an upcoming ladies night! 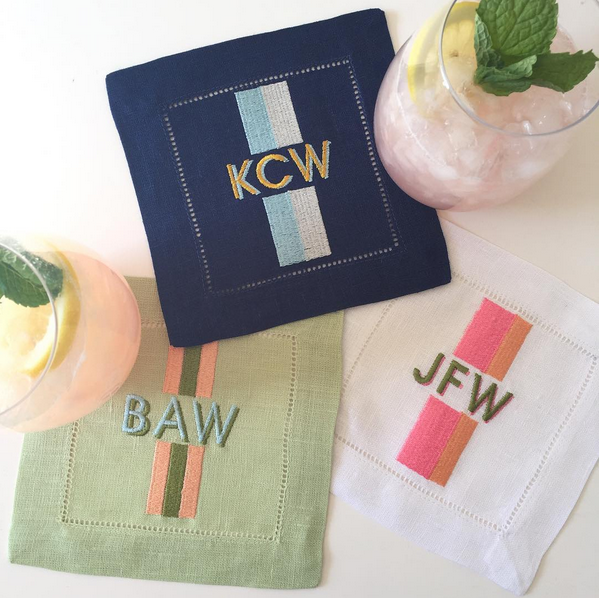 Love these napkins������ KCY.... Would look great! Paige, these are beyond ahhh-mazing! Leave it to you to find them and offer to share with us. I'd love to have a set to use with my "whine" ladies. The pineapple is the perfect Southern hospitality motif. I adore these pineapple napkins. What a clever monogram. 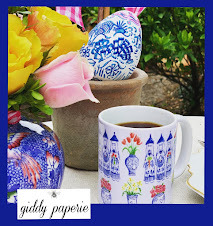 I'm in love with anything that reminds me of my home state and works seamlessly with my Chinoiserie obsession! My vacation in Charleston several years ago was heavenly!! Having those napkins would remind me of my fabulous time and all the sights and sounds of that great Southern city. I would definitely use them when entertaining my friends! Adorable!!! Love, love, love!!! They would be perfect with my pineapple wine glasses from Palm Beach Lately.com!!!! Thanks for sharing! 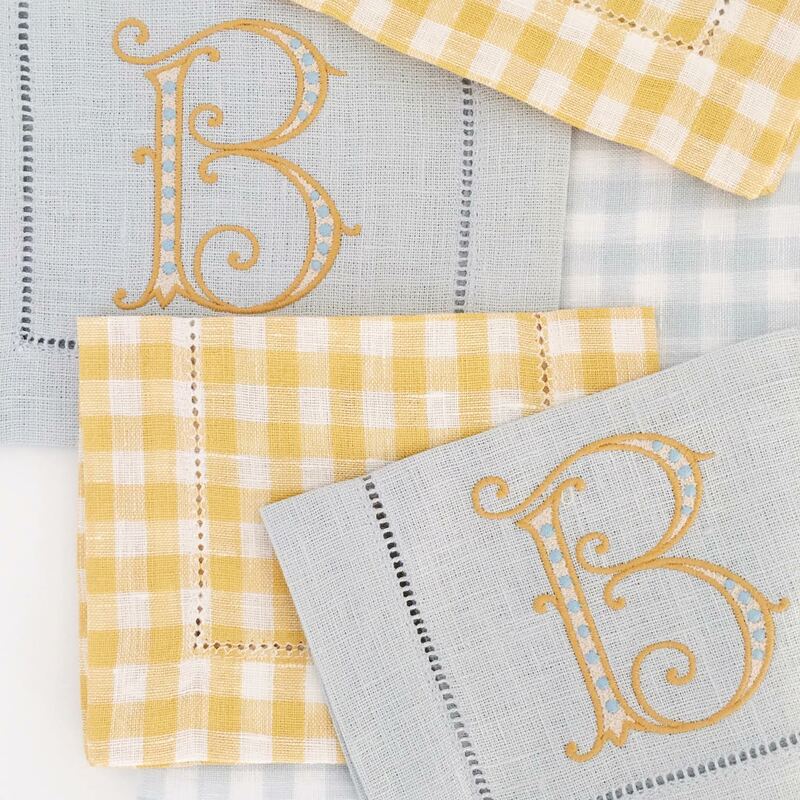 These napkins are the perfect blend of sophisticated and fun! I love the napkins. Would love to add them to my collection. Love these and would love to win them for my new home! 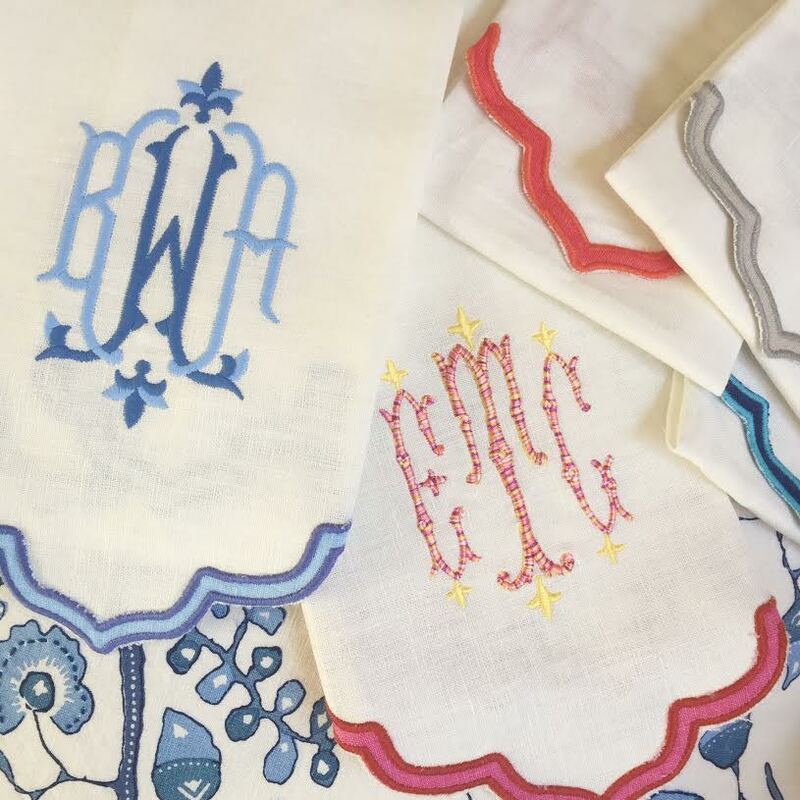 The monogramming is simply fabulous. 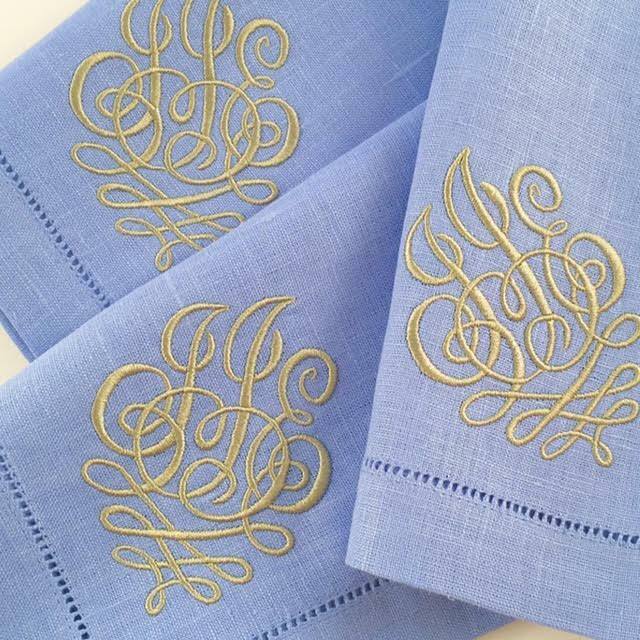 The monogramming and the napkins are gorgeous! My barcart needs these!!! Likely a pineapple !! Love these! 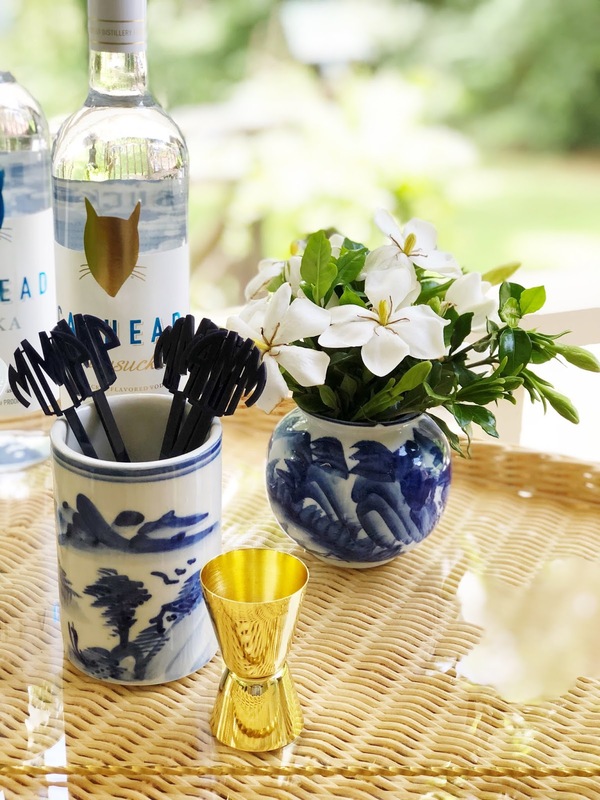 I am restyling my bar cart and they'd be perfect! I have two bar carts at my house. I would love to add these beauties to one of them.